He won't be completely gone from our TV screens—THANK GOD. 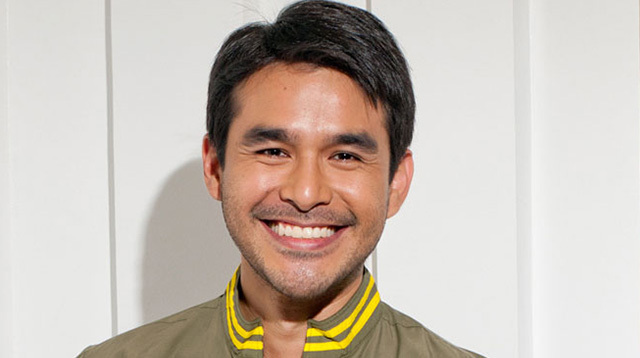 Fans of ABS-CBN News reporter Atom Araullo were distraught when they found out that he has resigned from his reportorial duties in the TV network. However, it turns out there may have been no need for tears. Relax, Araullo won't be completely gone from national TV. In a Manila Bulletin report, Ging Reyes—head of ABS-CBN News and Current Affairs—was quoted saying, "Atom Araullo had filed his resignation from his reportorial duties but will remain an on camera talent of ABS-CBN News and Current Affairs as an anchor in Umagang Kay Ganda and Red Alert. He said he arrived at this decision to be able to pursue other endeavors that would also help him grow as a journalist and as a host. He is aware that the news organization has included him in its future plans and will continue to assign him stories, coverage, and events, befitting his position as a journalist." We're sure Araullo's fans will be anticipating his next projects. "I quietly resigned as a news reporter of ABS-CBN a few weeks ago to explore other areas of media and to grow as a journalist. However, I continue to work with the network and our programs. My political views were not a factor in making this decision. "Having studied pressing issues based on fact and with an open mind, journalists, like any other individual, should ultimately stand up for the truth. This does not weaken our journalism, it strengthens it. Our guiding principles are fairness and accuracy. As we face tougher scrutiny from the public, we in media also strive to be more transparent and open to criticism. "I thank everyone for the support they expressed on social media. I look forward to playing my role in the debates and issues to come."